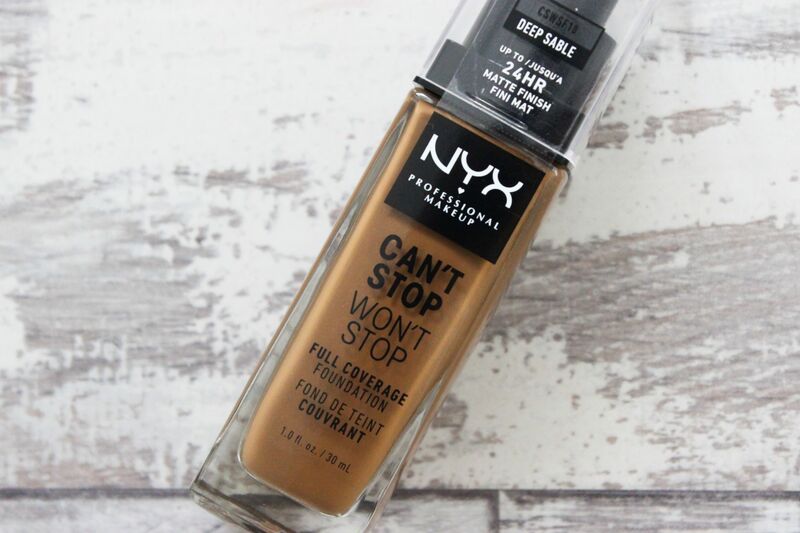 If you’re a YouTube head like me, you’ve probably seen all the beauty videos reviewing the new NYX Can’t Stop Won’t Stop foundation. Now, I have to say, I had no intention of buying this foundation. Looking back now, I’m not sure why I wasn’t interested. I think I was just a little sick of the beauty hype but one day I found myself in Boots and I saw the foundationin-storeso I thought, why not. Although CSWS has over 40 shades, as per usual, there was only a handful of shades in stock, in store at Boots so I picked up the nearest shade I could find which was Deep Sable. From my first swatch, it seemed like the right shade, wrong undertone. Deep Sable is pretty neutral in undertone, it’s very cool toned whereas I’m golden so this was a bit of a bummer for me but my nearest NYX store is around 2 hours away so I dealt with it. 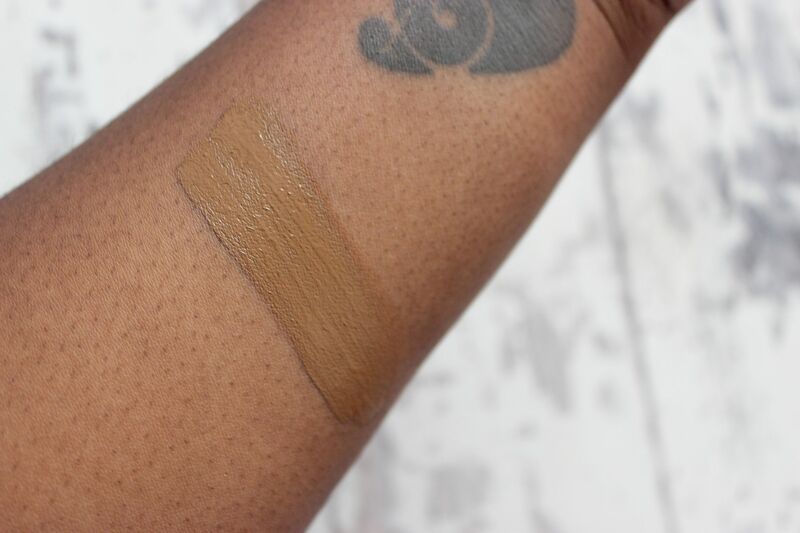 CSWS has a lot of claims including the new popular claim of “up to 24-hour matte wear.” I always get annoyed when I see this because, in reality, this isn’t what most people (if any) look for in a foundation. No one really needs to wear foundation for 24 hours. No one. On first application, (wrong undertone aside) I noticed how natural the finish of this foundation was. Normally, with matte foundations it’s hard to keep a natural finish, it always tends to end up looking cakey but this looked like my skin. I was really impressed. In terms of coverage, I’d say CSWS is medium, definitely not full unless you apply a few layers. It’s a good everyday foundation. I could still see some blemishes through the foundation but nothing crazy. To mute out strong discolouration you can always go in with a colour corrector. One thing I noticed immediately was how matte it really is. This isn’t like your favourite matte foundation. 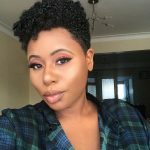 The first time I applied CSWS I did everything I normally do in relation to my makeup routine. I applied my powder to set and spritzed and spritzed and spritzed but I was ULTRA matte. I had greatly underestimated how matte this foundation really was. 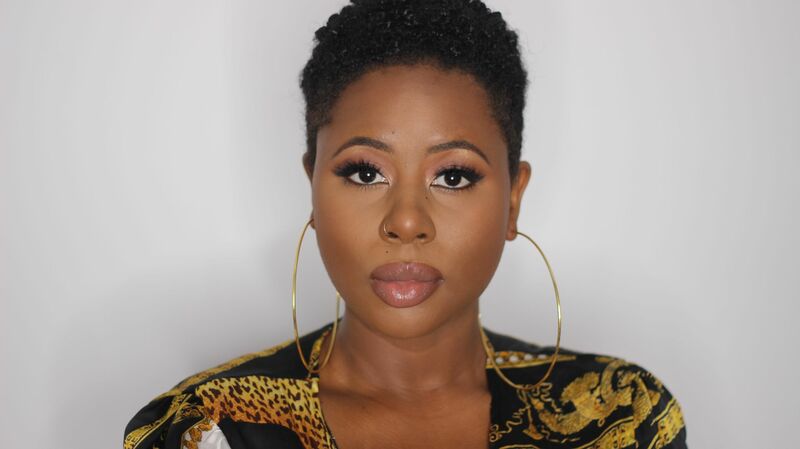 If you have dry skin, you want to stop reading here because this is not the foundation for you. The second time I applied CSWS I used less powder, much less, just a thin dusting to blend my highlighted areas out and that was all I needed. If you are used to using powder to set your face for the entire day, especially if you have oily skin, you’ll need to adjust the amount of powder you use. You simply do not need that much powder with this foundation, which is something I love. I have to say, from wearing it for a week I didn’t expect much from this foundation but by the end of the week, I fell hard for CSWS. This is the foundation for oily/combo skin. The foundation we’ve all been praying for. Normally, when I wear foundation I need to blot around 3-4 times a day as my oils become evident quickly but with CSWS I didn’t have to blot once. A whole 11 hour day with no blotting…can you imagine! As I type this I’m still not over it. 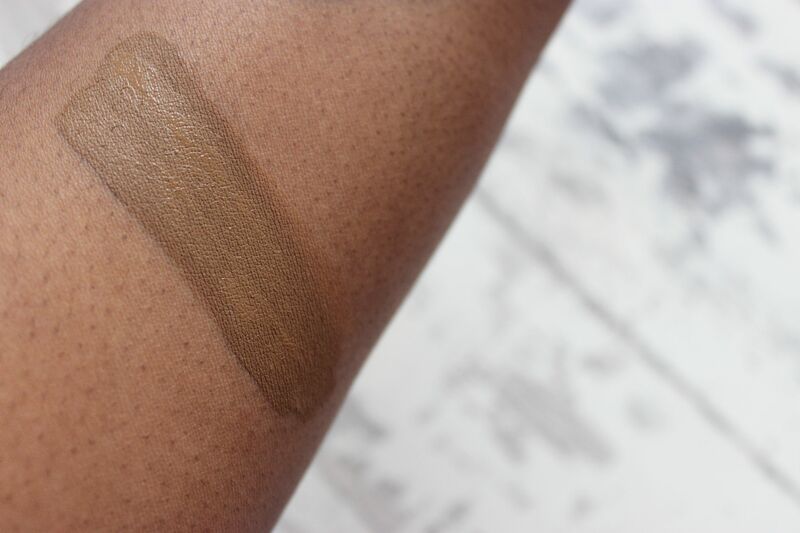 Whilst 24-hour matte wear is redundant as a claim (at least to me), the amount of time it can keep you matte is definitely longer than most foundations. For £15 I would definitely recommend this foundation, however, I would strongly suggest going to an NYX store to have yourself colour matched beforehand as NYX are known to be all over the place with undertones and this is the case with CSWS. I’d also wait for it to dry before you decide on a shade as these foundations oxidize pretty heavily. Besides, that I’m a big fan of Can’t Stop Won’t Stop. It has a fantastic shade range (if you go in-store), it’s perfect for those of us with oily/combination skin and it’s pretty affordable too! It’s my new go-to everyday foundation! Hey love! No, I just stuck with this shade, when I highlight and contour etc I can get away with this shade! 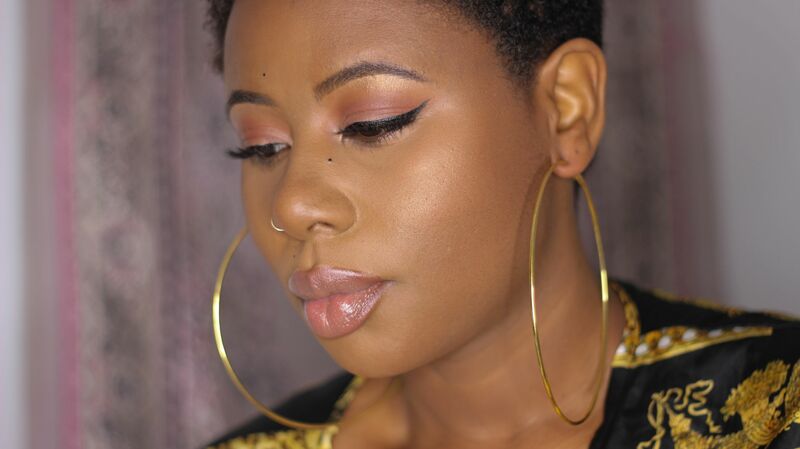 I cannot remember what powder I used, I think it was probably the IMAN pressed powder as that’s my go-to!